Kaufman County is in the midst of a historic residential construction boom. Anyone driving through Forney, Terrell, Kaufman or Crandall will attest to this fact. Neighborhoods are popping up, seemingly, overnight. With that, developers, builders and individual home buyers and sellers are seeing an equal rise in the number of real estate disputes. In our office, the main issues seem to be with individual home builders performing substandard work or failing to complete the construction of new homes. This can create quite the mess for home buyers who took out construction loans and are now paying their current mortgage, on top of the interest on their construction loan. On top of that, due to shoddy construction practices, they are having to pay additional amounts out of pocket, or reworking loans, in order to have their homes completed. With that, Texas provides certain protections under the RCLA (Residential Construction Liability Act) which protects homeowners in the event that a home builder performs defective or substandard work on a new home. Homeowners are also having issues with eminent domain. Eminent domain/condemnation proceedings have been instituted against several landowners in the last few years for rights of way and easements for utility companies and roadways through TxDot. If you face condemnation for all or part of your property, you need to consult with the attorneys at Guest and Gray. We have successfully negotiated and tried condemnation cases for families and businesses across Kaufman County and East Texas. For developers, we are seeing issues related to re-zoning and zoning variances, land-purchase disputes, disclosure issues and right of way and easement issues. 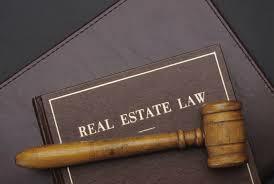 Many of these issues may be addressed in Court through specific performance, declaratory judgment or a breach of contract case.